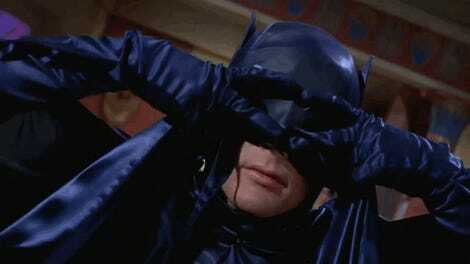 After playing Batman on television, Adam West became more than just a mere actor. He was the definitive version of the character for almost half a century, and that made him truly larger than life. In honor of that talent and impact, the city of Los Angeles held a beautiful and fitting tribute Thursday night. 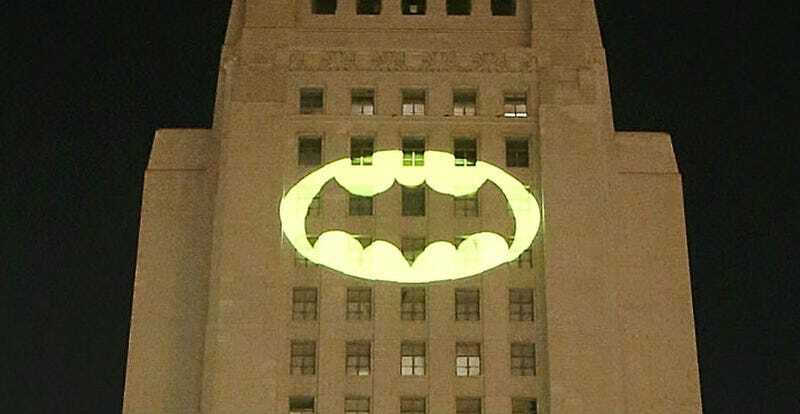 Los Angeles Mayor Eric Garcetti and Police Department Chief Charlie Beck lit a ceremonial Bat-signal at City Hall Thursday night to celebrate West. Here are some photos of the event. The scene at City Hall. 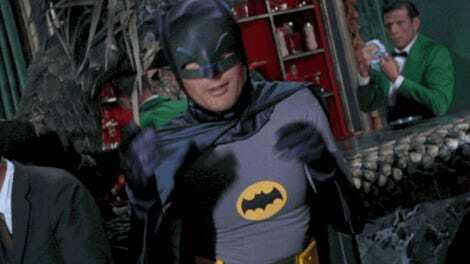 Burt Ward, who played Robin opposite West, with a Batmobile. Ward with DC’s Jim Lee. Ward and LA mayor Eric Garcetti admiring the signal. Not many actors get a tribute like that, but West absolutely more than deserved it.